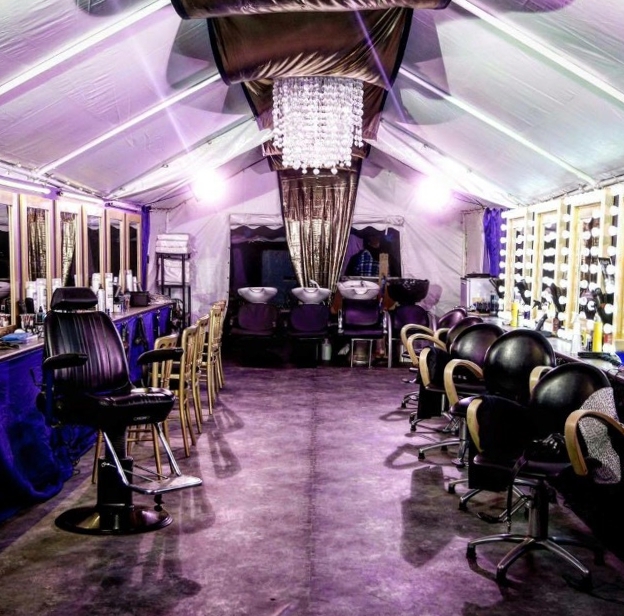 Don’t worry – The Glamour and Grooming Bar is Here At Last. Looking good and feeling good has become a part of our everyday lives. So much so that when we have those special occasions, weddings, birthdays and even festivals we all want to feel our very best and look great, even when these event take us away from traditional facilities. Glamour and Grooming Bar is here to provide you with a pampering service unlike others. We deliver a full salon and gents barbers pop-up solution where you need it most, in places most other salons and barbers are not able to reach, where you want it! No more queues for the bathroom on wedding days; give your guests the star treatment and create memories for everybody. Don’t feel bedraggled at festivals, look and feel at your best for the big event. Our services can include professional and experienced stylists and barbers, an extremely high quality, clean and functional pampering environment with constant hot water shower based hair washes, hairdryers, tongs, some of the best and most hair friendly hair products on the market. We have a full traditional gents wet shave and barbers offering which includes hot towels and even have specially designed flooring which is raised from the ground in case of those unfortunate wet weather situations. We tailor each service to your specific requirements, based on your specific event. Additionally, we bring to festivals and public events a standard of onsite pampering and glitz which has rarely, if ever been seen before; ensuring you, you friends or guests look and feel great for the special day. If you are unsure which services to pamper you friends and guests with then why not give us a call and we can talk you through the options and suggest a package to suit the occasion. Glamour and Grooming Bar – You Deserve To Be Pampered.